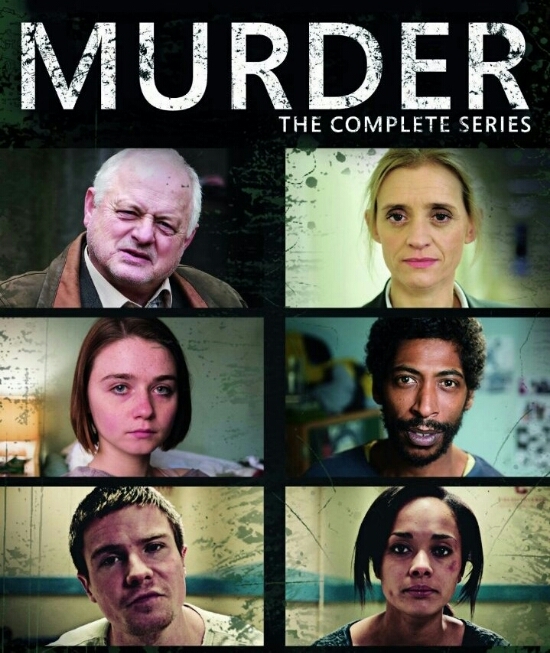 Today (21st March) sees the DVD release of Murder The Complete Series. Following the 2012 BAFTA-winning one-off film/pilot Murder: Joint Enterprise (which is also part of the DVD package), the unique BBC Two drama series returns with three new films directed The Killing‘s acclaimed director, Birger Larsen. Reading the title ‘Murder’, you would be forgiven for thinking this is another police procedural – but you’d be wrong. Murder is a cleverly constructed piece of television merging real-life cases, statements, cctv footage and forensics. Co-creators Robert Jones (Ballykissangel) and Kath Mattock (Buried), spent months in the public galleries at the Old Bailey researching real-life cases. With a all-star cast of skilled actors in a series of theatrical monologues, you have an interesting perspective on a commonplace genre. It sounds complicated but it makes perfect sense when viewed. It’s basically a televised stage play of a court case told through the eyes of witness statements, with a ‘whodunit’ and ‘why’ added to the mix – with us, the viewer, acting as juror. Each episode focuses on new a new Murder and cast of characters. The first story: ‘The Third Voice’ focuses on the riverside killing of a Scottish doctor. It’s well acted but it does come across as a bit too bleak despite the beautiful scenery. Film two: ‘Lost Weekend’, however, is a brilliantly gripping story about the disappearance of a wealthy philanthropist. Unlike the first film, the story is lightened by Anne-Marie Duff’s performance of dry humour as she’s faced with the daily idiosyncrasies her job brings with such an investigation. And finally, ‘The Big Bang’, sees us follow the investigation of the cold-blooded murder of an off-duty policeman. Standout performances include Anne-Marie Duff, Jessica Barden, Joe Dempsie, Karla Crome and Stephen Dillane. Alongside, Morven Christie, Lauren Socha, Peter Bowles and Robert Pugh. The direction, split screen and dialogue, directed face-on to the camera like a news report, make this series an utterly compelling watch in much the same way people are often curious about real-life crimes and what drives people to commit them (provided it’s no one you know or in your vicinity). In lesser hands this could have felt less like a televised dramatic play and more like a documentary. But the series manages to successfully tread a fine line between the two. Murder The Complete Series DVD is out to buy from today.